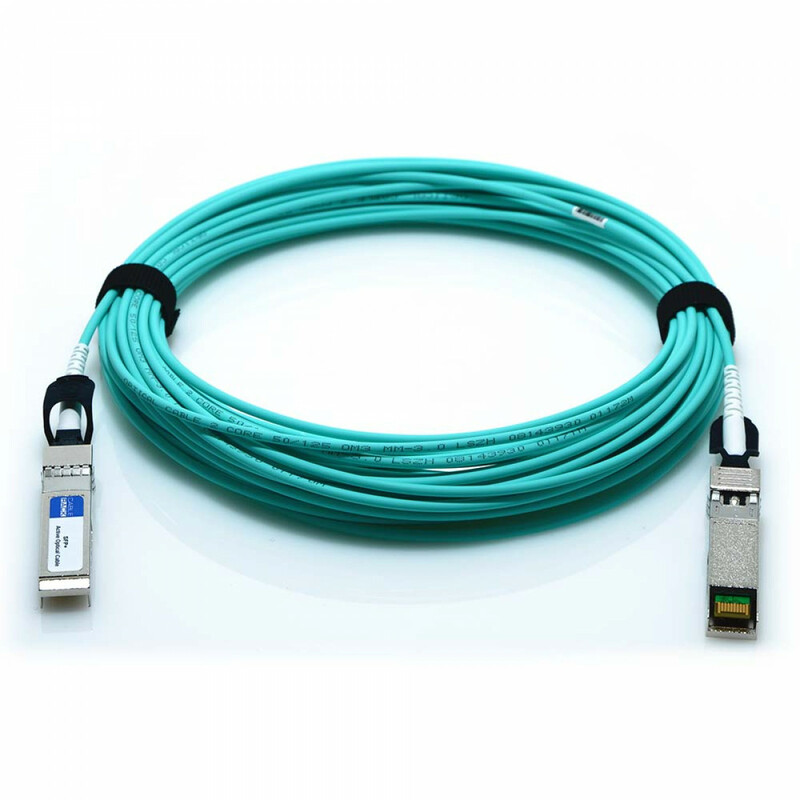 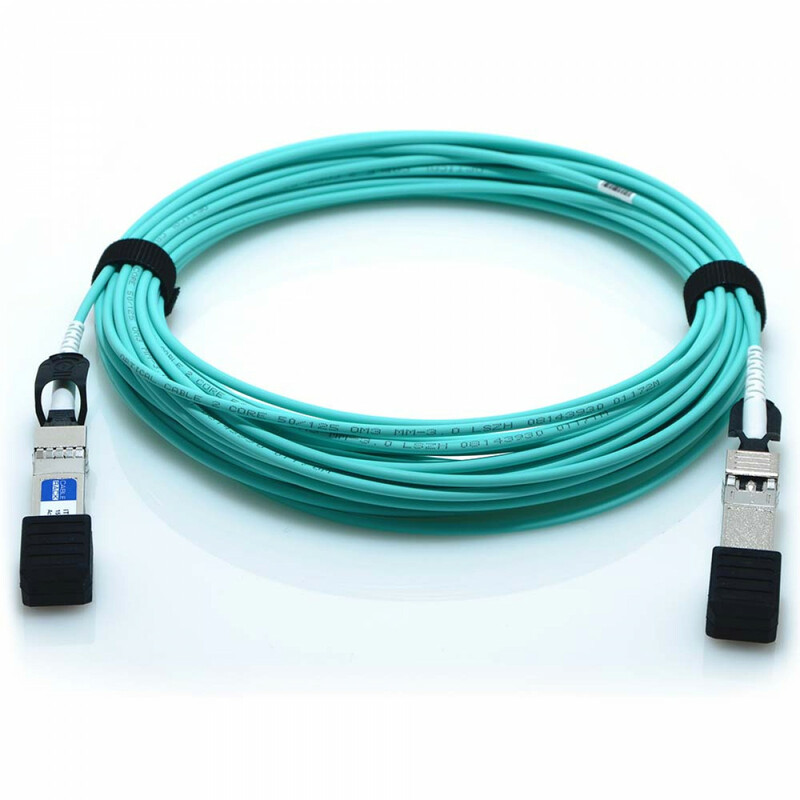 Our 10GBASE SFP+ Cables offer customers 10 Gigabit Ethernet Connectivity in the datacenter, enterprise wiring closet, and service providers with transport applications. 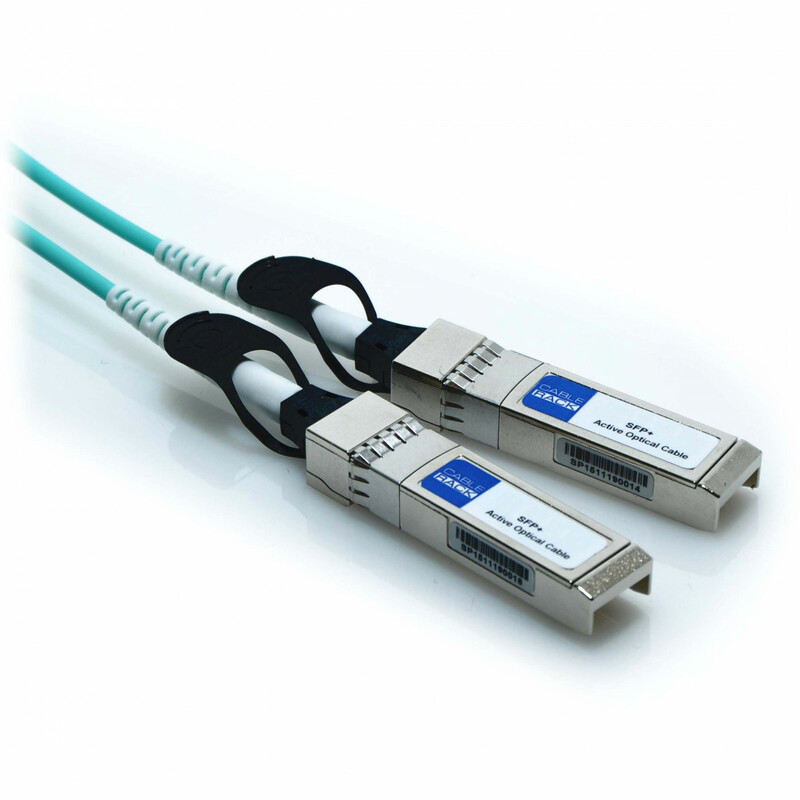 This cable features the smallest 10G form factor and supports 10GBASE Ethernet. They are hot-swappable input output devices that mate up to Ethernet SFP+ ports for many systems including interoperability with all Cisco devices. 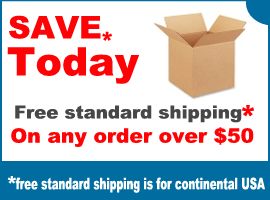 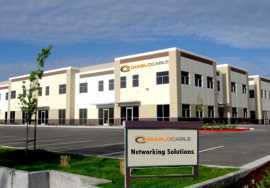 Active optical cables are capable of lengths of up to 100 meters.